Mahamaya Palace Hotel & Conference Center Pvt.Ltd. We provide best services for your wonderful moment. 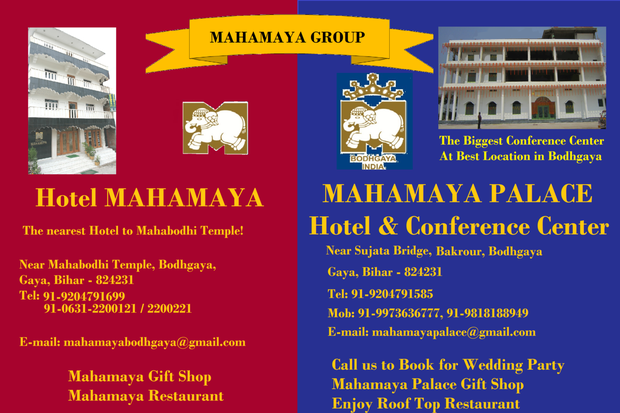 Hotel Mahamaya Bodhgaya, The nearest hotel to Mahabodhi Temple.